Paradise. You enter through a private courtyard, lined with trees and intimate sitting areas. Come try the floating bed, swaying back and forth as you relax in the sun or under starry skies. Enjoy free happy hour at our1850 bar, or relax out by our heated swimming pool. 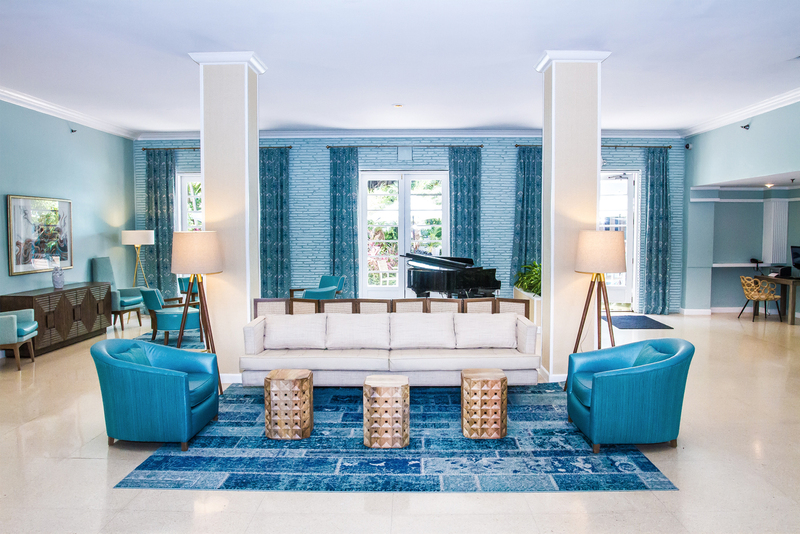 Now enter our chic lobby. What catches your eye? Is it the baby grand piano or the dripping glass artwork? It's official…your vacation has started. Our guestrooms are modern and restored to their original beauty, all with flat screen TVs. Best of all, you are in the center of South Beach, steps from The Shore Club, W Hotel, the SLS and Delano, at a fraction of their cost. Our multilingual staff is trained to pamper you with service you will find only at our boutique hotel. All of our guestrooms are designated non-smoking.